EDITOR’S NOTE: The following article was inspired by an edWeb.net webinar entitled Using Games to Assess and Personalize Your SEL Instruction, given by Jessica Berlinski, chief impact officer at Personalized Learning Games. Viewing the webinar entitles you to a free trial of Zoo U. 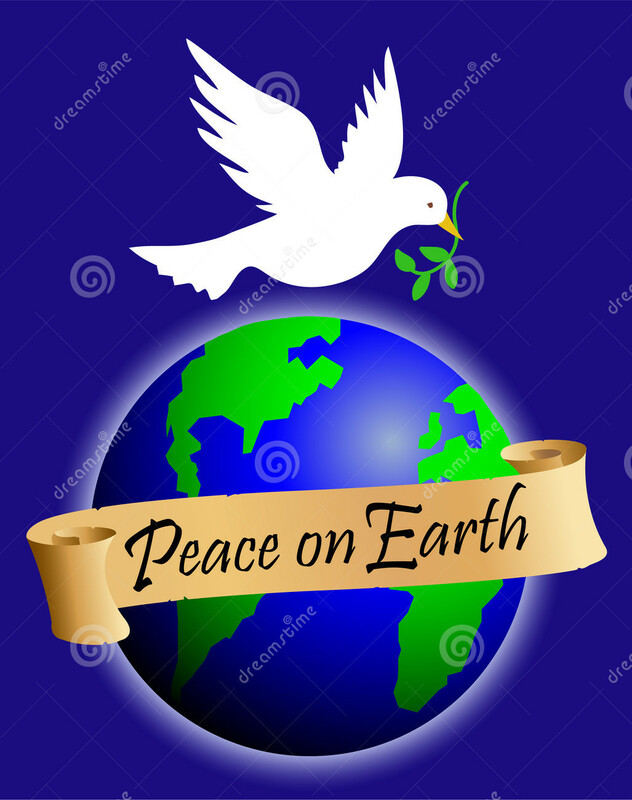 In the holiday season, we hear often about peace on earth and good will toward men, but these qualities are needed year-round. Students who have empathy and who can manage their emotions are more likely to graduate and get jobs. Social emotional learning (SEL) is very important for success in life. There are a variety of strategies for teaching SEL. But studies show that video games can be especially effective because, among other things, they are engaging, can reach many students at once, can identify strengths and weaknesses, and encourage repeated use. And indeed, there are video games which have a proven track record in improving SEL skills. Some of these were introduced at a recent edWeb webinar by Jessica Berlinski, chief impact officer at Personalized Learning Games. The first game Ms. Berlinski introduced was Zoo U, (https://www.zoougame.com) for grades K-5. 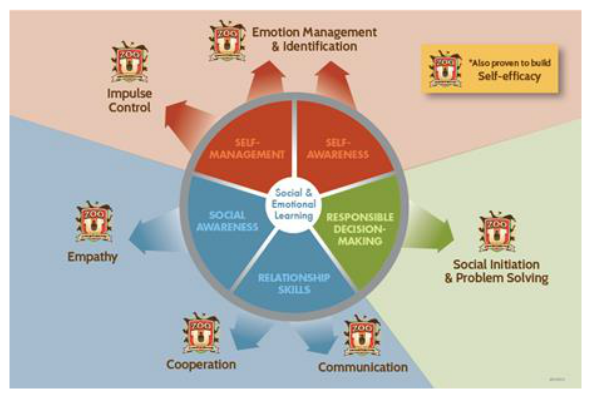 Funded by the U.S. Department of Education and aligned with CASEL (the Collaborative for Academic, Social, and Emotional Learning), the game teaches and assesses six areas of SEL: 1) emotion regulation, 2) impulse control, 3) communication, 4) empathy, 5) cooperation, and 6) social initiation (leadership). It does this by presenting a series of role-play scenarios. Stealth assessment occurs as the game measures if and how long it takes the player to do the right thing. For example, an empathy assessment scenario shows a dejected boy sitting by a playground, surrounded a few games which the user can play. To assess the player’s emotional intelligence, the game measures how long it takes for the player to approach the boy and what conversation the player chooses when talking to him. After the stealth assessment, Zoo U starts the player where they need the most support. It has an adaptive game engine, which alters what is presented based on student choice and behavior, and alters the difficulty of the decisions based on student progress. This gets kids into the optimal zone of learning, where they are challenged one level higher than their own skill level. Zoo U is normally $7 to $20 per student, but you can receive a free trial for up to 25 students if you contact Jessica Berlinski by the end of February 2016 at jessica@personalizedlearninggames.com. Aimed more toward middle schoolers is Quandary (quandarygame.org), a Games for Change 2013 Game of the Year award winner made by the Learning Games Network. Free to play, Quandary presents a game world in which students build a new colony and are faced with ethical dilemmas. Quandary is Common-Core aligned and seeks to build critical thinking, perspective taking/empathy, and decision making. The makers of the game say it works best when classmates play together. Those who use it say that Quandary is good for assessment, providing valid baseline data and informing instruction. “In 20 minutes, you get to know your students better,” said one teacher. Another proven SEL tool is Ripple Effects (rippleeffects.com), which presents tutorials on a series of topics that the user can choose. Ripple Effects has a version for kids and for teens, and has been shown to increase SEL competencies, improve behavior, reduce absenteeism, and improve grades. Ripple Effects is not free, and to find the cost (which varies depending upon license type) you must contact the company. However, you can get a free 30-day preview through their website at http://rippleeffects.com/order/pricing/. There are many other SEL tools and games which do not include assessment. To find them you can use Graphite for game reviews (go to www.graphite.org and search on SEL), Edutopia (www.edutopia.org/social-emotional-learning), and Learning Works for Kids (learningworksforkids.com). Tagged Quandary, Ripple Effects, SEL, social emotional learning, Zoo U. Bookmark the permalink.